Lemuroid Leap consists of two properties totalling around 90 hectares on the Atherton Tablelands. These properties consist of a mix of endangered high altitude rainforest on basalt and cleared pastureland. South Endeavour bought these properties in 2013 to enable the completion of the Rock Road Wildlife Corridor. Intensive replanting of the pastureland in the corridor commenced in the wet season of 2013/14 and it is expected that the corridor will be fully functional in an ecological sense by 2018/19. The corridor will reconnect a major 850 hectare rainforest remnant to the remaining World Heritage listed rain forests of the Herberton Range National Park. Another planting day photo at Lemuroid Leap in 2015. One year old trees in foreground. Old Growth rainforest at Lemuroid Leap in middle ground. Horizon is the Wet Tropics World Heritage Area. 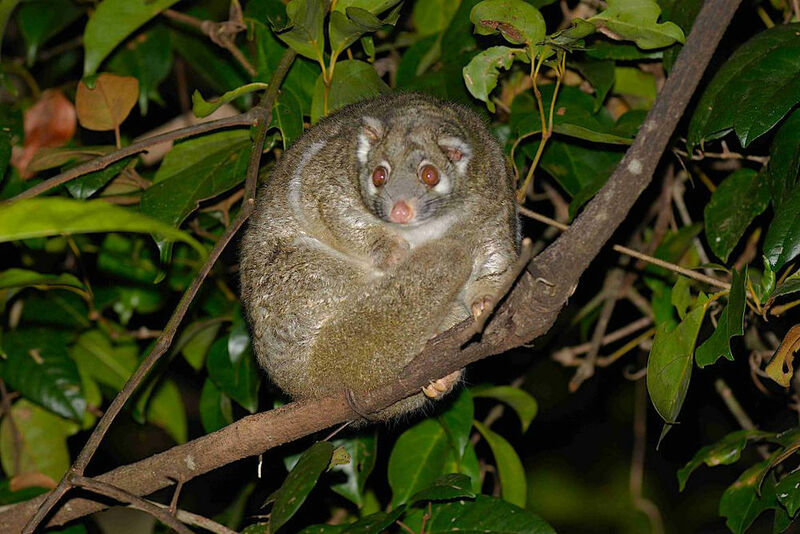 The high altitude forests of the Atherton Tablelands are the prime habitat for a number of temperature sensitive possums, with the Lemuroid Possum being at risk of being the first mammal in Australia facing extinction due to climate change. The corridor through Lemuroid Leap will play a vital role in giving this beautiful animal the best chance of long term survival. The Green Ringtail Possum is endemic to the cooler higher altitudes of the Atherton Tablelands. It is temperature sensitive and is threatened by climate change. As with our Carabeen Creek reserve, Lemuroid Leap contains over 370 plant species, 130 birds are present including the endangered Golden Bowerbird and Cassowary as well as at least another 9 endangered or threatened bird species. It is also prime habitat for Lumholtz's Tree Kangaroo.